The Lower Elwha Klallam Tribe is tagging large woody debris to follow it as it moves through the newly restored Elwha River system. “We’re tracking over 2,000 logs and tree stumps with silver tree tags, from the upstream end of Lake Mills to the river mouth,” said Vivian Leung, a doctoral student of geomorphology at University of Washington. She’s been working with the tribe since 2012 to study how large wood debris (LWD) has affected the river during and after the removal of the river’s two-fish blocking dams. Silver tags are attached to log and stumps throughout the Elwha River so scientists can track their movements as the river changes during restoration. As the dams came down, the lake Aldwell and Mills reservoirs were drained, leaving behind thousands of logs and tree stumps that had been buried under sediment and water for the past century. The natural action of the river is transporting the logs and stumps throughout the new riverbed, changing the dynamics of the river and creating better salmon habitat. Leung is interested in how logjams form and affect channel patterns, how wood is transported through rivers and how the pools they create provide places for salmon to rest, feed and spawn. The large logs and rootwads also are aiding revegetation efforts of the lakebeds. The tribe hired a heavy-lift helicopter recently to relocate 500 unmarked logs around Mills. The logs were moved from the former reservoir pool elevation to terraces along the river’s floodplain. These logs are expected to help stabilize steep slopes and provide sheltered areas for young plants to survive during planned revegetation efforts in the coming years, McHenry said. During 2014-2015, 100,000 woody plants will be planted into the former Mills reservoir surface. WASHOUGAL, Wash. — Coal had been transported around the country by rail for decades before the recent push to bring it by train to ports in the Northwest. And yet, scientists don’t really know how much coal dust could escape from rail cars, how far it might travel, and what coal-borne mercury and other contaminants might do to aquatic life. With the permitting process moving forward for two large coal terminals in Washington, a team of scientists with the U.S. Geological Survey is trying to find out how the chemicals in coal might interact with the environment. “We really don’t know what the effects are and whether it is an issue,” says Bob Black, a scientist with the USGS. 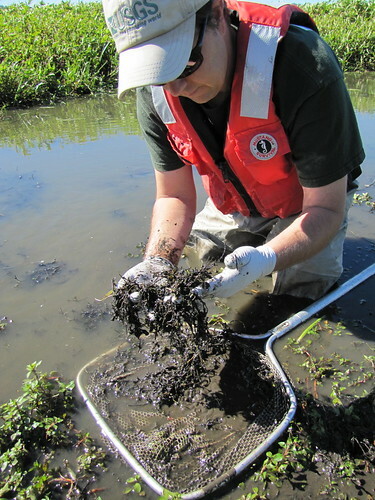 Black is the lead scientist on the new study, which has him squelching through the muck at the Steigerwald Wildlife Refuge near Washougal, Washington. The refuge is sandwiched between the Columbia River to the south, and train tracks to the north. Black and his team are gathering data for a first-of-its kind scientific study of coal and its potential impacts on wetland ecosystems. As he sloshes through the shallow marsh’s waters to plant minnow traps, Black says he knows that he’s also wading into a controversial issue. “There are communities that are economically interested in this and then there are suggested environmental impacts and ultimately I can have my own personal views but I can’t let those come into play and essentially that’s our role. We can’t let that be part of our science,” Black says. The team fans out across the marsh as a BNSF Railway train screeches along tracks less than a quarter-mile away. This train is not hauling coal. Right now, roughly one coal train per day travels along the Columbia River before turning north and following the shoreline of Puget Sound to service Canadian coal terminals. But if terminals are built in Longview and near Bellingham, that number could jump to more than 20 coal trains per day. Some coal does escape from trains, as BNSF has testified publicly in the past. Environmental groups have sued BNSF Railway for violating the Clean Water Act by allowing coal and coal dust to escape from trains and get into waterways along tracks in the Northwest. A judge ruled this month in favor of local groups in Seward, Alaska after they sued a nearby coal terminal for similar Clean Water Act violations. However, supporters of coal exports have called the coal escapement issue a red herring, used by anti-coal environmental groups to spark public alarm. The USGS is gathering samples of muck, fish and insects from two sites in this wildlife refuge, one close to the tracks, the other farther away. The goal is to find out whether more mercury and polycyclic aromatic hydrocarbons (PAHs) are showing up near the train tracks and how those contaminants are behaving in the environment. Collin Eagles-Smith, an ecologist with USGS, stands thigh-deep in the marsh, net in hand. He’s sifting through handfuls of black muck, looking for dragonfly larvae. When he finds one, he opens his palm to display the specimen before putting it in a little plastic baggy to take back to the lab for analysis. Eagles-Smith says dragonflies can serve as vectors to transmit mercury contamination out of the aquatic environment and into land-based ecosystems because they feed on all kinds of plankton and other tiny organisms. When they grow up and fly out of the muck they are in turn eaten by birds, frogs, fish and other animals, potentially transferring mercury contamination up the food chain. “So what we’re looking at is essentially, is there mercury in this dragonfly and then we’re going to be using a fairly sophisticated approach to fingerprint the isotope ratios of the mercury to see if we can say whether the mercury in this dragonfly was from coal dust,” he explains. By comparing dragonfly larvae, sediment and fish samples from this site with those from another site farther from the tracks, the team hopes to see how far contamination from coal trains could travel. But Eagles-Smith says there are still a lot of questions about how active the mercury in coal might be if it gets into the environment. Mercury is believed to be inert and less harmful to the environment until it goes through a complex biological process known as mercury methylation. The unique rotten-egg decaying process that takes place in low-oxygen marshy environments like this means that wetlands could be hotspots for transforming inert mercury from coal into a more toxic and biologically-available form that can then make its way up the food chain, the scientists worry. Emerging technology is helping scientists zoom in on more specific sources of mercury pollution in the environment. Mercury can travel in air pollution for thousands of miles. But scientists want to know if coal trains that pass through wetlands like this might serve as a sort of direct deposit of mercury pollution. The USGS expects to have preliminary results within the next 6 months, though the researchers caution that this is a small sample size and more study is needed. The results will be shared with the state and federal agencies that are studying the environmental impacts of the two proposed coal terminals in the Northwest. MIAMI — In a lab on Virginia Key, a group of baby fish are being put through their paces on a tiny fish treadmill. The inch-long mahi-mahi, being used as part of a study to assess damage caused by the Deepwater Horizon oil spill that spread crude across the Gulf of Mexico for 87 days in 2010, were exposed when they were embryos to oil collected during the cleanup. Now, at 25 days old, the oil is doing exactly what scientists suspected it would do: hamper the swimming of one of the ocean’s fastest fish. And significantly so. Young mahi usually swim at a rate of five body lengths per second. For perspective, imagine a 6-foot man swimming 30 feet in a second. The fish, struggling against a current in a little tube attached to a propeller called a swim tunnel, can only muster three body lengths. For a fish that needs speed to survive, this could mean bad news. Mahi, one of the most popular fish on menus, is already heavily fished. So losing a generation to an oil spill could take a toll. It also suggests that other fish suffered from the spill. 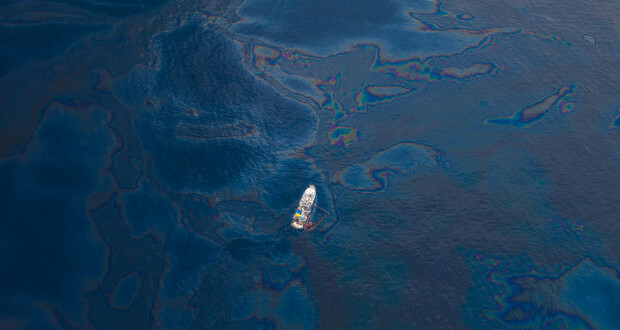 The treadmill study marks the second in recent months by the University of Miami Rosenstiel School of Marine and Atmospheric Science that has found that oil from the largest spill in U.S. history damages young pelagic fish, the large predators found in the open ocean. In March, UM researchers working with National Oceanic and Atmospheric Administration scientists determined that the BP oil also damaged the hearts of tuna embryos, a condition that likely killed them in the wild. Both studies – disputed by BP – are worrisome because tuna, whose numbers have dropped by as much as 75 percent in the last 40 years, and mahi began their spring spawning just as the spill occurred, sending fragile embryos across warm surface waters and into a patchwork of oil slicks that covered more than six square miles. These newest findings, published in the journal Environmental Science & Technology, build on that earlier report by looking at fish as they age. BP says the study is invalid because, according to the company, the tests used concentrations of oil not found in the Gulf during or after the spill. Researchers also failed to look at adult fish, spokesman Jason Ryan said in a statement. After the spill, NOAA began enlisting scientists to investigate the damage it caused – so far, the studies range from the acoustic damage done to endangered sperm whales to oil in fiddler crabs. For pelagic fish, which are particularly sensitive to changes in their near-constant deep-water environment, scientists want to know how much oil it takes to affect the fish and what those effects are. To test the mahi, researcher Ed Mager first mixed oil from the spill and seawater in a Waring blender at concentrations replicating the spill. He exposed one group of embryos to the mix for two days and then raised them in clean seawater. Another group was raised in clean water and exposed to oil when they reached about 25 days. Mager also wanted to ensure that no other factors stressed their performance. Like all babies, the mahi startle easily. So he wrapped the treadmill – a clear, four-inch swim tunnel outfitted with a propeller and immersed in a two-foot tank – in black plastic. Mager, who studied deadly respiratory viruses in premature human babies before he switched to fish, then curtained off the area and monitored his little subjects with a video camera. Mahi are carnivores and foragers, so they swim fast. But when he turned on the treadmill, Mager was surprised to see that the outwardly healthy fish swam much slower. The ones exposed as embryos swam 37 percent slower. Those exposed as juveniles dropped 22 percent. Because they are so sensitive to change, pelagic fish – and particularly fragile embryos and juveniles – can act as a kind of canary in a coal mine. So the information that Mager and the team have collected for the study, one of several ongoing at the school, will be fed to modelers to determine a more expansive view of the ecosystem after the spill and help figure out the limits for how much oil it can tolerate before damage happens. “We’ll be a little closer to knowing what to look for and how bad when, I cynically say, the next spill happens. Because it will,” Grosell said. Catherine O’Neill’s broad piece on the fish consumption rate has a great explanation on all of the attacks on previous fish consumption studies and why decades of work is enough. Throughout the process of updating the FCR in Washington, there have been broadsides on the science that supports increased rates. Although the relevant surveys of tribal fish consumption were carefully conducted to ensure their scientific defensibility, and have consistently been found to meet EPA’s (and sister states’) standards in this regard, their validity has nonetheless continued to be challenged by industry and individuals. As documented at length in the FCR TSD, each of the tribal studies considered… was found to have “satisfied” Ecology’s measures of technical defensibility. Some commenters called for the raw data (as opposed to the studies summarizing the survey results) to be “turned over” for “independent review” – a highly unusual request in general, given the ethical protocols that govern studies with human subjects, and a request in this context that is at the very least insensitive, given tribal populations’ understandable mistrust of handing over their raw “data” to outsiders. 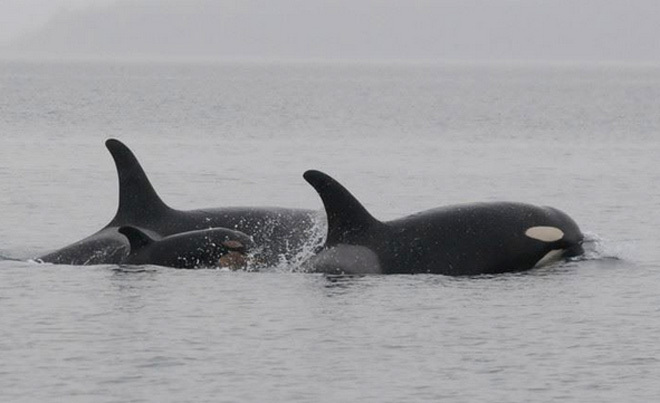 Ecology also called upon experts at the University of Washington School of Public Health to explain the standard practice in the field with respect to custody of survey data – an explanation that confirmed the inappropriateness of requests that the raw data be turned over to the public. So, why the need for even more study?